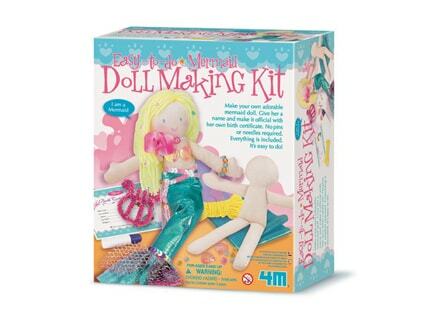 Start a hobby that can last a lifetime with the 4M Mermaid Doll Making Kit. This fun kit includes a soft-body doll, yarn hair, beads, fabric, accessories, colored pencils, and more. There’s even a birth certificate so kids can “officially” name their doll once they’re finished customizing. Simple instructions make it easy for adults and children to dress and decorate this doll together. There’s no pins or needles, allowing children to construct clothes and more without the risk of injury. The completed doll measures 8.5-inches tall, a perfect size for backpack travel and easy storage.